View More In Music Notation. 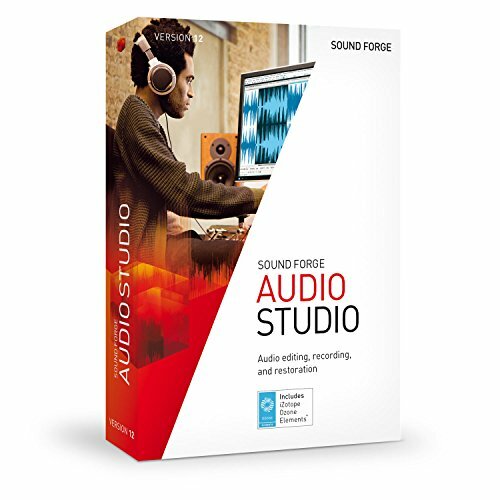 The audio editor SOUND FORGE Audio Studio 12 sets a new benchmark in audio and sound editing. Produce audio material in studio quality and in up to 32-bit/384 kHz resolution and apply over 20 professional filters and effects. With the innovative new restoration suite, the latest generation of this software offers professional audio restoration and cleaning at the highest level. The audio editor contains an impressive range of new features - for both beginners and studio professionals alike. Access innovative functions such as Slice Editing for a simplified, flexible audio editing workflow. Cuts can be modified and faded in at a later stage. SOUND FORGE Audio Studio 12 includes an impressive range of plug-ins, well thought out workflows and CD authoring functions according to industry standards. If you have any questions about this product by Sound Forge, contact us by completing and submitting the form below. If you are looking for a specif part number, please include it with your message.